Retired Air Force Lt. Col. Russell Howard of Port Charlotte, Fla. began his 22 year career in the military as a young ROTC 2nd lieutenant who became an electronics warfare officer. In the beginning he flew aboard a Strategic Air Command B-52 “Stratofortress” flying out of Robins Air Force Base in Warner Robins, Ga. preparing for Armageddon. Half a century later he recalls one training mission in particular. “During these 24-hour flights we’d change positions. Because I knew something about flying I ended up flying the plane,” Howard recalled. “I was in the aircraft commander’s seat. The co-pilot was supposed to be flying the plane and I was to help him out. “The commander was sacked out on a collapsable bunk. The co-pilot had dozed off in the seat next to me. 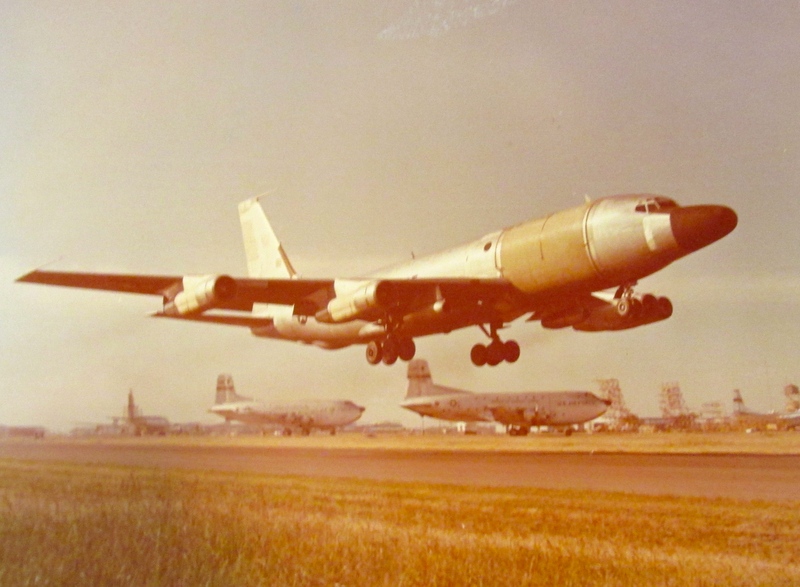 With the B-52 on autopilot I was the only one watching the gages and controls,” he said. A fully-loaded B-52 ready for war had enough explosive power aboard to vaporize a number of large cities. “We had two AGM (televised-guided) bombs on our wings and four more atomic bombs in the bomb bay,” the former Air Force officer remembered. “We flew in tandem with another B-52 on this training exercise. “The other bomber I realized was getting smaller and smaller as it flew ahead of us and to our left. I also realized we had to catch up, so I reached over and gently nudged the throttles forward a bit. “About the same time I had to change our radio frequency to call in our location. I called it in without a hitch. “On our airplane I could get no one to answer our intercom. I tried to get the navigator on several occasions but he was apparently asleep. We also had three pilots aboard, but they were all asleep. “I was the only guy awake in our plane! “By this time we had flown by the B-52 we were flying in formation with. I eased back on the throttles because if I did anything quickly with the throttle the airplane would cut off autopilot and I’d be flying the plane,” Howard explained. “I knew I was going to catch hell for our plane being out of position as we flew pass the other bomber. Strangely there wasn’t a word about our position coming from the other plane. Then I realized there wasn’t anyone awake in the other B-52 either. “After two or three hours our co-pilot finally woke up. I guess our navigator woke up about the same time, too, and they started piloting the plane again, We all flew back to Robins Field without a hitch. From the SAC base in Georgia Howard was sent to the Air Force Reconnaissance School. After graduation he was assigned to Eielson Air Force Base some 20 miles outside Fairbanks, Alaska. “I became an airborne spy,” he said. “My first mission was a flight aboard a converted RC-135S ’Cobra Ball’ tanker the Air Force turned into a photo reconnaissance plane. Basically what we were doing was taking pictures of Russian missiles when they reentered the atmosphere. It was our crew that first spotted the Russian multiple reentry vehicles—MERVS. All of this secret information collected by his team of Air Force sleuths was sent on to Wright Patterson Air Force Base in Dayton, Ohio for analysis. This was taking place in 1968 in the middle of the “Cold War” with the Soviet Union. The most harrowing experience he had while sleuthing for the Air Force was during a flight on the photo reconnaissance plane. “We flew back from a mission on a Sunday. The runway was iced over and were battling a strong cross wind while trying to land. I looked out of one of the photo ports and saw our hanger as we passed by at 70 knots,” he said. “By that time we should have slowed down and started to turn and stop, but we hadn’t slowed down. After Alaska Howard was stationed at Offutt Air Force Base in Nebraska, headquarters for the Strategic Air Command. 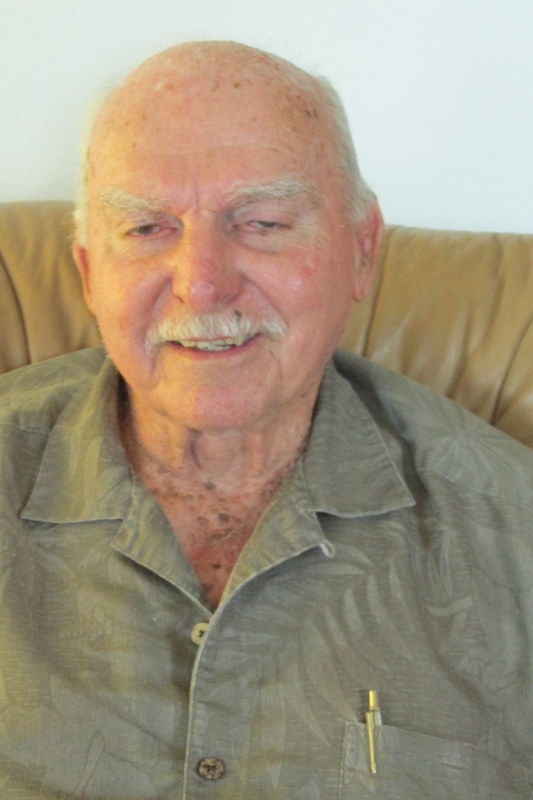 He was part of an airborne headquarters crew that flew with a general aboard. It would take charge of SAC operations if an enemy attacked the U.S. He was promoted to lieutenant colonel while serving as head of tanker operations for the Air Force on Okinawa. From there it he went on to Carswell Air Force base near Fort Worth, Texas where he became the operations and plans officer for the base. It was from this base Howard retired as a lieutenant colonel in 1980 after more than two decades of military service. He moved to Port Charlotte in 1999. He has three grown children: Sean, Lisa and Dianne. Commendations: Distinguished Flying Cross, Combat Rediness Medal, Air Force Longevity Service Ribbon four awards, Naioal Defense Service Medal, Air Force Outstanding Unit Award two commendations, Air Medal two awards, Air Force Outstanding Unit Award. This story was first published in the Charlotte Sun newspaper, Port Charlotte, Fla. on Monday, Oct. 19, 2015 and is republished with permission. Google “A Tale of Two Airplanes” by King Hawes for another version of Russ’ story. Russ and I were on Team-2, “Rivet Ball” (RC-135S #59-1491). I’m standing far right in the crew photo above. 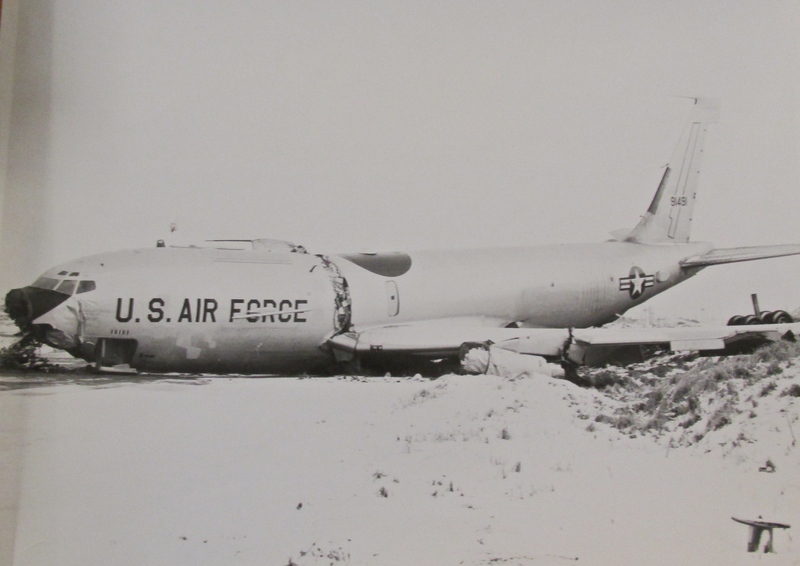 “Cobra Ball” was the name of the aircraft (RC-135S, #61-2663) that replaced “Rivet Ball” (#59-1491) after she crashed on 13 Jan. 1969. Great story. Two corrections from this AGM guy, the AGMs (Hound Dog Missiles) were inertial guided, not televised, missiles, not bombs. Great sense of humor, loved Jim-Beam and the fastest man alive when exiting a crash landing. He has the scars to prove it and a story to go with it. Russ always told a great story and had many to tell. He was a lot of fun.